12 pages with lines on front and back. 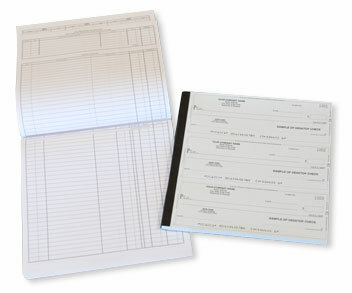 Overall Size: 8 11/16" x 9 3/16"
Put an end to running out of room on your check register before you run out of business checks! 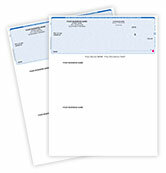 Order extra check registers from CheckAdvantage and make sure you're always keeping track of your company's finances. Our Desktop Check Registers are conveniently designed to help you balance your account. Desktop registers include 12 pages with 30 rows on the front and 22 rows on the back. There are an additional 6 rows for tax deductible expenses and deposits on the back of each sheet as well. Columns include: Check Number, Date, Description, In Payment Of, Amount, T, Fee, Amount of Deposit and Balance. Get your Desktop Check Register now and stay on top of your financial records! (Checks and pen not included).